Great View! Great Neighborhood! Sweet Price! Located in Park Foothills NE,8702 Galena Dr, this house has 3 spacious bedrooms 2 1/2 baths, a large den for family time, a bar area and a covered patio to take in the view. All bathrooms remodeled, new kitchen appliances and storage space. Has a garage and a 2 car carport. 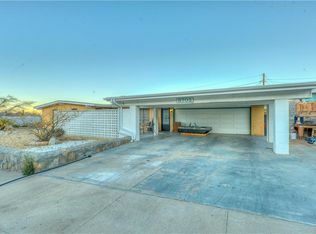 Close to Fort Bliss, shopping and schools. Contact Jordan Garland and Home Pros Real Estate for a private showing.